Vitamin D, the sunshine vitamin that’s good for boosting your mood and your skin, may have a new role to play in protecting your health. Two recent studies suggest that being low in the vitamin could usher in dangerous infections. One trial conducted at the University of Edinburgh in the U.K. looked at vitamin D deficiency and respiratory infections—in particular, a condition called bronchiectasis. Bronchiectasis happens when an infection leads to an abnormal dilation of the bronchi. The condition causes a cough to appear that often lasts months and even years. It can also cause wheezing, fever, fatigue, and chest pain. For their study, the Edinburgh researchers recruited 402 patients with bronchiectasis. They conducted a number of tests and found that 50% of the patients were vitamin D deficient. 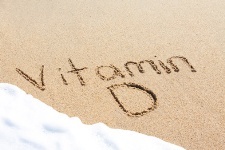 43% of the patients had insufficient vitamin D levels. Only 7% had adequate vitamin D levels. When compared to the control group, vitamin D deficient patients were also more likely to suffer from inflammation, had more bacteria in their lungs, and were more likely to have pulmonary exacerbations. When the researchers conducted a follow-up three years later, the vitamin D deficient participants still had worse lung function than the control group. Another trial conducted at the Queen Mary University of London also found similar results. In this review study, researchers also investigated the association between Vitamin D deficiency and susceptibility to acute respiratory infections. After a review of 39 studies, the research team found that low vitamin D status was associated with an increased risk of both upper and lower respiratory tract infections. The marker for vitamin D in the body is called 25(OH)D. Serum 25(OH)D is usually measured in nanograms per milliliter (ng/ml) in the U.S.
There’s a lot of discrepancy about what constitutes an inadequate serum 25(OH)D. Some medical experts suggest that 10 ng/ml is too low, while others tag the level at 30 ng/ml or even 40 ng/ml. When it comes to taking vitamin D to assist in the treatment of a medical condition, recommended amounts also vary. The amount you would take to treat cancer is likely going to be different from the amount you would take to treat heart disease. For example, if treating a respiratory infection, your serum level of 25(OH)D should be around 35 ng/ml. However, you want to make sure that you’re getting enough vitamin D—because the benefits are enormous. Chalmers, J.D., et al., “Vitamin-D deficiency is associated with chronic bacterial colonisation and disease severity in bronchiectasis,” Thorax. January 2013; 68(1): 39-47. Jolliffe, D.A., et al., “Vitamin D in the prevention of acute respiratory infection: Systematic review of clinical studies,” J Steroid Biochem Mol Biol. December 7, 2012.